The new Audi SQ7, an uber-powerful tech-fest on wheels, is on sale for £70,970. 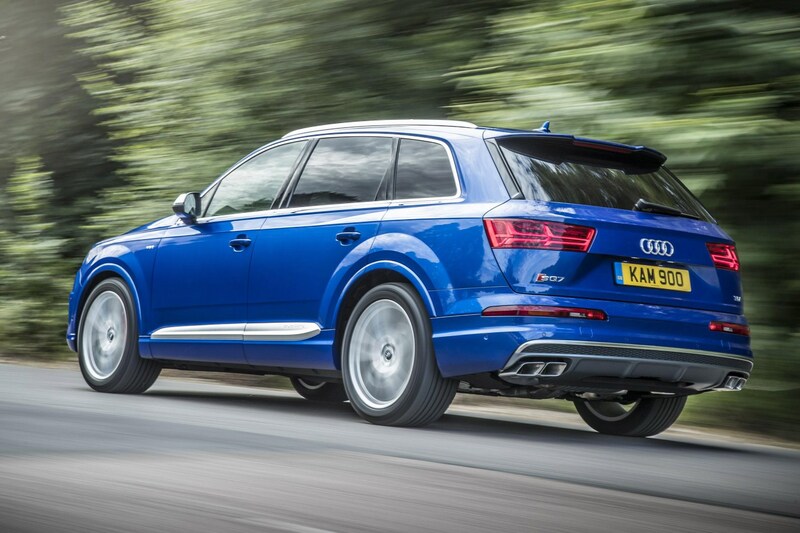 Irked at not being the first to fill the high-performance diesel SUV niche, Audi has made damn sure their entrant is the most powerful – with the S-designated Q7 pumping out 429bhp and 664lb ft of torque. Audi has stuffed the SQ7 with equipment, too. Goodies such as adaptive air suspension, Valcona leather upholstery, Audi virtual cockpit and MMI Navigation plus all come as standard with the flagship SUV. Those power figures – talk me through them? The SQ7 puts out 107bhp more than standard versions of its SQ5 baby brother, while rivals such as the BMW X5M 50d and Porsche Cayenne S diesel are outgunned by 53bhp and 49bhp respectively. The Audi’s power and torque is enough to launch the 2.3-tonne SQ7 from 0-62mph in 4.9 seconds, and on to a limited top speed of 155mph. According to Audi, turbo lag is consigned to the history books thanks to an electrically powered compressor that sharpens the engine’s responses off the line. Also helping the Audi get down the road are active anti-roll bars, which are adjustable on the fly to deliver the most appropriate handling characteristics. Both of these latest systems are enabled by an all-new 48-volt electrical subsystem and accompanying lithium-ion battery. What else do I get for my £71k? Plenty. Standard kit for the SQ7 includes Audi’s Virtual Cockpit, sat-nav, DAB, electric heated front seats, parking sensors, cruise control, quad-zone climate control and LED headlights. The SQ7 is only offered in S line spec, so there’s no difficult decisions to make initially. Those who enjoy liberally ticking option boxes, though, won’t be disappointed. Buyers not satisfied with the standard 20-inch rims can find solace in the optional £1400 22-in diamond-cut alloys, and there’s a whole host of other equipment options on offer – including a £6000 interior upgrade pack that results in virtually everything bar the glass being covered in leather. Audi is taking orders for the SQ7 now, and deliveries begin in August.